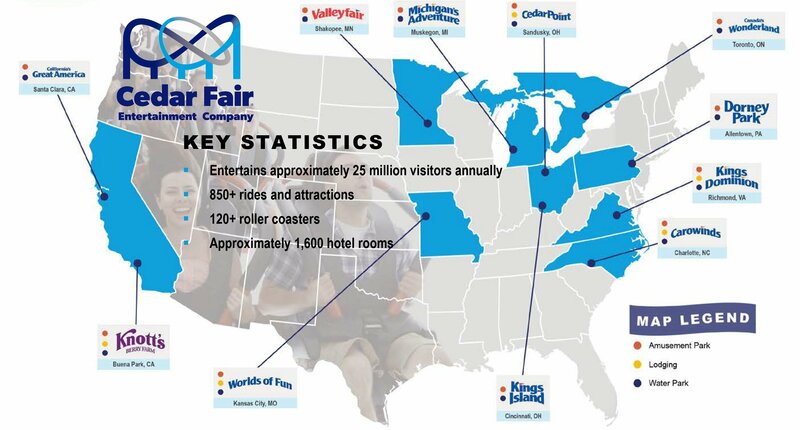 Which Cedar Fair parks have the best lineups? So in this discussion, I want to know which parks in the Cedar Fair chain have the best rollercoaster lineups. I definitely think that Cedar Point has the best one right now, and I think that it would be very hard to disagree with that! But what I really want to know is how do the other park lineups in the chain stack up and compare to one another. After Cedar Point, I think the next two best lineups in the chain are at Kings Island and at Carowinds, but I am interested to hear your opinions! Knott's comes to mind for me. Its a really diverse line up with some decent theming and models you don't see a lot of in the rest of the United States, probably due to their niche in the SoCal market. I’ve only been to 4, but if I were to rank them it’d go 1:Cp 2:Ki 3:CW 4:KD, kings dominion was pretty disappointing to be honest but still a fun place to go. I haven't been to Valleyfair or CGA. I'd personally put Kings Dominion and Cedar Point towards the top. Especially both of those parks as they were about 9 years ago. Both had (and to a lesser extent still have) a mix of good, unique types of coasters that you couldn't find many other places (Shockwave, Avalanche, Volcano, the best functioning Backlot Stunt Coaster, Disaster Transport, Wildcat, Gemini, Iron Dragon, Top Thrill Dragster, etc.) There was/is a diversity of coaster types that makes those two feel more like an experience than the rest, at least to me. *Timber Wolf and Prowler are precious cinnamon rolls who must be protected at all costs.